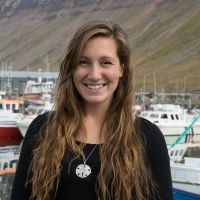 World Ocean Summit 2019 - Blog | EmergingAG - Emerging Ag Inc.
Tiare Boyes is a youth ocean leader. She is the Executive Director at B.C Tuna Fisherman's Association and Founder of Leeward Consulting Ltd. The Economist’s World Ocean Summit was hosted in Abu Dhabi this year with the theme ‘building bridges’. Many governmental representatives, corporations, NGOs and scientists were in attendance from around the world. While there was a youth contingency, they were largely absent from many of the events. Last year youth in marine fields were asked to present at short intervals between discussions, which was a highlight as many bright young ideas were shared and it was easy to recognize the youth and be able to speak with them during the networking events. It was interesting to visit Abu Dhabi and learn of some of the ongoing ocean initiatives underway in the Gulf of Persia. It was wonderful to meet local representatives and to learn some of the unique local challenges facing desert/ocean cities. Investing in the blue economy was a topic well covered at this event, with many perspectives shared. Farah Obaidulla representing Women4Oceans, detailed the imbalance of women’s representation in many marine sectors “we are not doing a good job of tapping into half of our populations resources to positively impact ocean health”. She called for better engagement with women scientists, educators and mariners. Þór Sigfusson highlighted the importance of utilizing the entirety of fish, not just the fillets, through innovative programs developing medical or cosmetic applications for fish skin and other parts often considered ‘waste’. He suggested this is an excellent opportunity for youth to become more engaged with fisheries outside the traditional harvesting or processing jobs. Plastic pollution was also a focus of this year’s event, as many speakers highlighted the prevalence of plastic pollution in our oceans. Suggestions for approaching the problem were diverse, similar to the marine environments plastic is now found in. During the keynote panel: corporate impact, on the last day of the event, Andrew Forrest, Founder of Minderoo Foundation, declared it was time to start taxing polymer to reduce the production. Others had innovative ideas for cleaning up existing plastics while some presented dire statistics about worldwide consumption and the limits to recycling facilities. Peter Thomson, Special Envoy for the Ocean, had a different message, he stated “ocean plastics, overfishing and pollution are all very fixable problems, too often people fixate on them. The bigger issues are ocean acidification, warming and de-oxygenation”. This struck a note with me being from a fisheries background and being passionate about sustainable seafood systems. We often feel as if we are fighting against unsolvable problems with ocean pollution and overfishing, however, we have the tools to fix them but lack motivation and funding. The larger problems resulting from climate change are much more serious and much more difficult to solve. The highlight of the event for me as an avid diver and amateur photographer was the presentation by Laurent Ballesta, naturalist photographer, detailing his quest to photograph the elusive and mysterious coelacanth or ‘living fossil’ fish in deep waters off the coast of South Africa. His fabulous photos of a fish once thought lost to the fossil record are a reminder that our ocean still holds mysteries and opportunities for discoveries. It is also a reminder that we still cannot fathom what we stand to lose if climate change is not taken seriously at all levels of society.